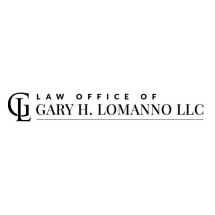 The Law Office of Gary H. Lomanno, LLC, in Williamstown, New Jersey, provides aggressive advocacy and sound advice in matters involving criminal defense, Municipal Court charges, family law and personal injury. As trial lawyer and counselor, Gary H. Lomanno is committed to obtaining the best possible result for every client. Gary H. Lomanno has represented thousands of clients in cases involving criminal charges, Municipal Court charges and traffic violations. Mr. Lomanno has a comprehensive understanding of court rules and procedures, as well as possible defenses. He is well respected by police officers, prosecutors, judges and court personnel. Whether it involves an indictable offense or a Municipal Court charge, you can depend on Gary H. Lomanno for aggressive and skillful advocacy at all stages of the legal process. When you retain his law firm, you will work directly with Gary H. Lomanno at all times. Mr. Lomanno will explain the issues in your case, your legal options and the likely outcomes of those options. After you have decided how you wish to proceed, Gary H. Lomanno will work diligently to achieve your goals in a timely and efficient manner. In addition to handling cases in the New Jersey court system, the Law Office of Gary H. Lomanno, LLC, can assist clients in legal matters in New York, Maryland and Delaware. Since 1993, residents in south Jersey have turned to Lomanno Law Office for personalized service and effective resolution of Municipal Court, family law, criminal defense, personal injury and estate planning matters. If you have been arrested for a crime, your best course of action is to obtain the services of an experienced criminal defense attorney as soon as possible. Ignoring a Municipal Court charge or simply pleading guilty is not a good idea. Being convicted has many negative consequences, and if you are convicted of a second offense, you could face enhanced penalties. Family law cases often arise when couples have decided to end their marriage through divorce or when non-married parents need to establish legal child custody and support agreements. If you have been injured in a slip and fall, motor vehicle accident or other situation in which you were injured but not at fault, you may not know where to turn for help.